1. Combine brown sugar and water. 2. Add garlic, soy sauce and sesame oil. 3. 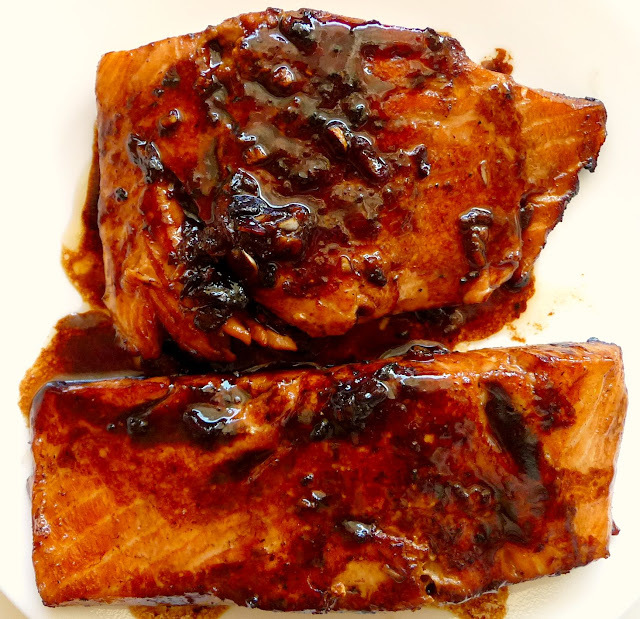 Marinate the salmon in the soy sauce mixture for 15 minutes on each side. 4. 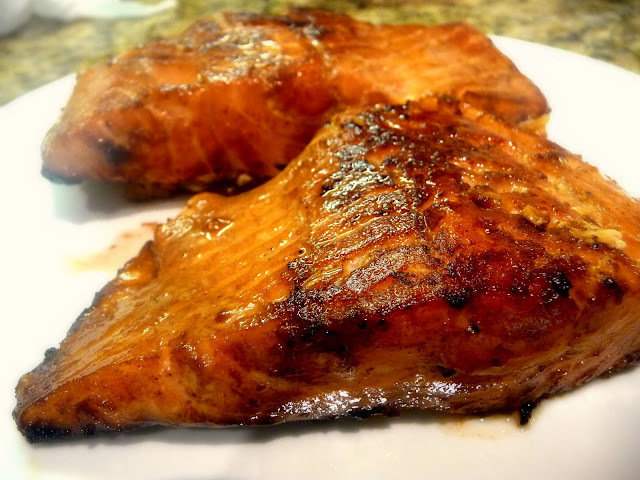 You can either grill, bake, or pan fry the salmon. 5. Use the remaining marinade as a topping for the salmon by cooking the mixture in a small pan on medium heat until the sauce thickens. 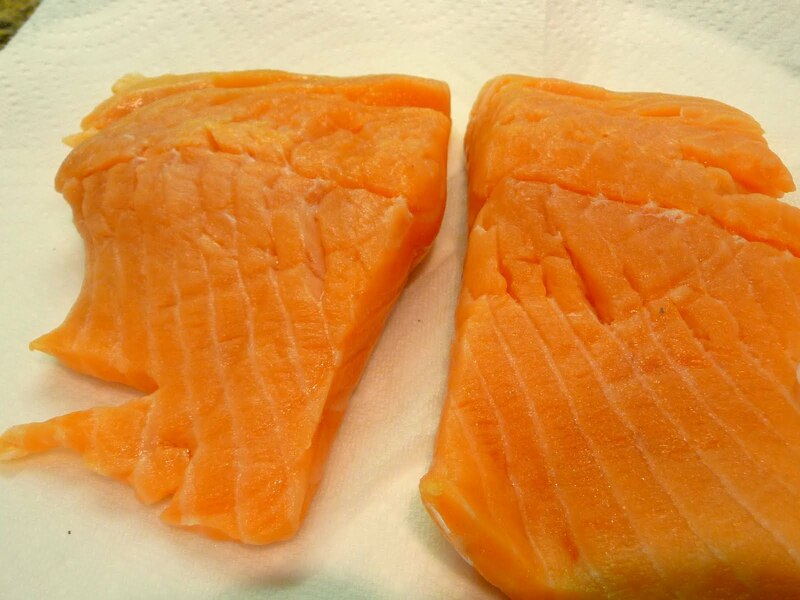 Drizzle over the salmon and serve. Wash the salmon pieces and pat dry with paper towels before marinating. 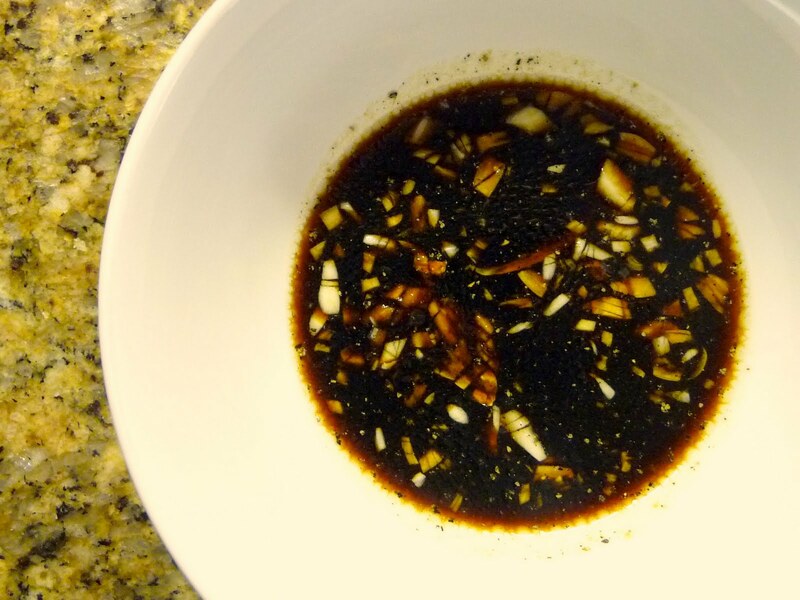 The kitchen already smells delicious once you start putting this marinade together, even before you start cooking. Because I was pressed for time today, I pan fried the salmon in about 1-1/2 Tablespoons of extra light olive oil on low to medium heat. Oh my! I can see why you loved it so much. I'm bookmarking this recipe to try it soon. Delicious! Thanks Ben. Please let me know how it turned out. thanx for this recipe! was unreal!!! !